Offering you a complete choice of products which include ecoshield type disinfectant, pharma disinfection, pharma polyelectrolyte, minncare peracetic acid, ulv fogger and coil cleaning chemical. Chemtex’s Ecoshield type Disinfectant is a rapid, eco-friendly, nontoxic disinfectant for use in the Pharmaceutical sectors. 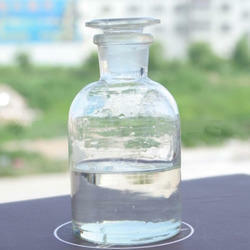 It is a superior mix of Hydrogen Peroxide and Nano silver particles. This mix destroys all sorts of microorganisms, even fungal spores. It is a clear, colourless, odourless, tasteless liquid disinfectant, non-carcinogenic, non-mutagenic, and nontoxic in nature. The additional advantages are no foul scent, not irritating to the eyes, with no neutralization after use and easy handling. There are likewise no reasons for alarm of overdosing, no remaining impacts. A room of 1,000 cubic feet can be prepared totally sterile within an hour with just 20% of dilution of this Ecoshield type product. 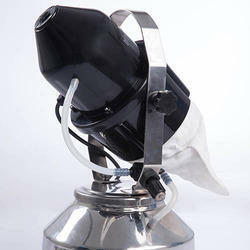 Using a ULV fogger which gives a fine fog permits this sanitizer to be suspended in the air for a more drawn out time which enters between breaks of surfaces guaranteeing a protected and sterile environment. It is additionally broadly used for disinfection of pipelines and capacity tanks as it is the best disinfectant on biofilms. Different applications incorporate sterilization of surfaces and instruments, hand cleansing and crude water sanitization. Chemtex's contribution to Pharma Disinfection with its range of disinfectants which function as a multi barrier to prevent the spread of infections associated to pharmaceutical industries. It causes eradication of disease causing pathogens. Pharma Disinfectants are manufactured in various formulations as per the requirement of various institutions. Pharma Disinfection not only help to eradicate microorganisms such as bacteria, fungi, viruses or protista which cause health hazards but also inhibits the reproduction procedure of those microorganisms. Furthermore, disinfection also sterilizes treatment rooms after use, keeps machines in better shape and builds cleaner working environment. Chemtex manufactures a wide range of Hospital Disinfectants based on iodophores, quartenary ammonium compounds, silver hydrogen peroxides, peracetic acid, aldehydes and compounds thereof. Chemtex Speciality Limited is an ISO 9001, ISO 14001 and OHSAS 18001 certified company that specializes in the manufacturing of Pharma Disinfectant products. Chemtex's greatest business vitality and strength are its technical and manufacturing knowledge and a well developed technical service team. Chemtex Speciality Limited manufactures superior quality Pharma Polyelectrolyte for Organic Effluent for the Pharmaceutical Industry. Huge amount of toxic wastes are generated and these get discharged usually in some water bodies. Therefore, effluent treatment becomes a critical responsibility of the Pharma Industry. Chemtex offers finest quality of effluent treatment chemicals including range of polyelectrolytes, poly aluminium chloride, etc that help in flocculation and coagulation respectively. Coagulants like PAC, ferric alum, etc bring about the primary settling of suspended solids whereas flocculants like polyelectrolytes account for the secondary settlement of particles. Pharma Polyelectrolyte for Organic Effluent Treatment Chemicals manufactured by Chemtex Speciality Limited is done with the help of various Effluent Treatment Chemicals such as Coagulants and Flocculants. While Coagulants essentially function for primary settling of suspended solids in the Effluent Treatment Chemicals, the Flocculants function for the secondary settlement of particles. Coagulation is done with the help of Alum (Ferric / Non-Ferric), Ferrous Sulfate, Ferric Chloride, PAC (Poly Aluminum Chloride) etc. Flocculation is done with Polyelectrolytes such as Polyacrylamides (Anionic, Cationic and Non-ionic), Polyamine, PolyDADMAC etc. All these flocculants (Effluent Treatment Chemicals) are used for secondary settling and sludge dewatering as well as for primary settling coagulants such as alum, PAC (poly aluminum chloride), ferric chloride, ferrous sulfate etc are used and from the organic range products like poly DADMAC, polyamine and poly DCDA are used. 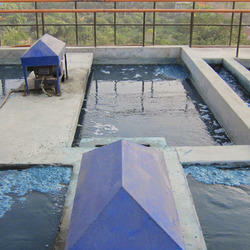 The selection of these flocculants is based on the type of application, system parameters and the type of effluent. The Coagulant (Effluent Treatment Chemicals) is ideally utilized in divergent industries for the process of flocculation. These types of Effluent Treatment Chemicals are composed by making use of top grade inhibitors for the impeccable separation of suspended particles from solutions. Chemtex Speciality Limited is an ISO 9001, ISO 14001 and OHSAS 18001 certified company that specializes in the manufacturing of Effluent Treatment Chemicals. It has also established itself to be among world's renowned multipurpose chemical exporter having its facility in India. Chemtex's greatest business vitality and strength are its technical and manufacturing knowledge and a well developed technical service team. Chemtex’s Minncare Peracetic acid based type liquid sanitizer for food and beverage industry. It’s no rinse, non foaming formula and its ability to sanitize at cold temperature makes it ideally suited for use in CIP systems for food processing equipments. 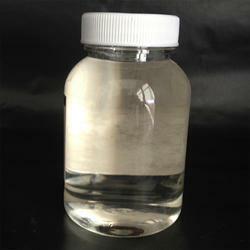 • Efficient material compatibility: It gently and completely cleans membranes. • No toxic Aldehyde vapours: Minncare Peracetic Acid based Cold Sterilant type protects employees from exposure to toxic aldehyde vapors. ULV Fogger generates ultra low volume high density fog droplets in the size range of 5 – 10 microns, providing maximum thrust, deeper penetration. Silver Hydrogen Peroxide being an oxidizer has advantage over QACs for faster disinfection with small downtime or contact time; it is more readily biodegradable and breaks down into water and oxygen. QAC being a non-oxidising compound requires low concentration and longer contact time. • Pharma and Biotech: Incubation labs, R&D sectors, microbiology labs, etc. • Hospitals: OT, ICU, ICCU, patient waiting rooms, etc. • Agriculture: Polyhouses, greenhouse, poultry sheds, etc. Chemtex Speciality Limited is involved in the manufacturing of wide range of cleaning chemicals which include Coil Cleaning Chemical as well. 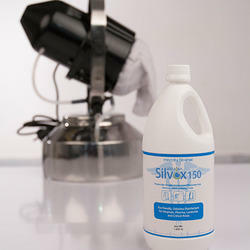 Chemtex offers many acid and alkaline based cleaners available to clean AHU coils. These chemicals clean by creating a chemical reaction between the cleaner and the coil surface. AHU coils have the tendency to get dirty more often and accumulate soil and debris on its surface. Dirty coils can bring about inefficient execution of air conditioning system. Dirty air filters in the system can enhance the amount of material that makes contact with the evaporator coil. 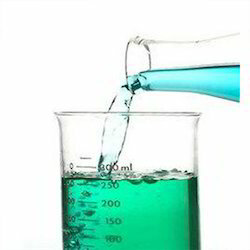 Coil Cleaning Chemical serves as a concentrated coil cleaning and brightening agent. Coil cleaner is based on an amalgamation of inorganic acids and solvents with dye, foaming agents and inhibitors. It is beneficial for cleaning and removing of dirt, solid cementious deposits, carbon, etc from AHU coils. Looking for Pharma Maintenance Chemicals ?